As discussed in our previous blog, measles cases are growing in the United States at a record rate. The Centers for Disease Control (CDC) has recorded over 387 cases in the first three months of 2019, which has already eclipsed total cases in 2018. The reasons for measles outbreaks include resurgence in other parts of the world as well as increased anti-vaxxing campaigns. Additionally, anti-vaxxers spread dangerous misinformation such as the “link” between vaccines and autism, which has been disproven by medical experts time and time again. So how can you prevent the spread of measles in your children and what should you be doing to protect them from this resurgent disease? A measles vaccination is the most effective way to protect your children from getting the measles virus. 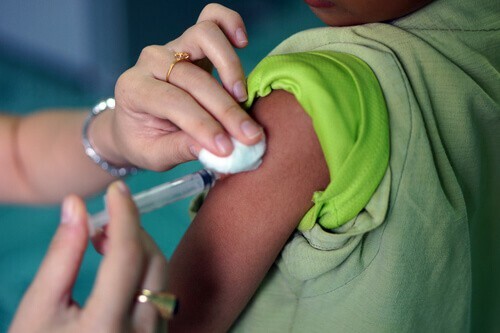 Medical experts will usually recommend the vaccine for children between 12 and 14 months and then later between the ages of 4 to 6 years old. During this time, the body is able to create antibodies from the vaccine and protect against measles throughout their life. If you are unsure about your vaccination history, then you should speak with a trusted medical professional to review your vaccinations and see if you need an updated vaccination. Additionally, the most common vaccine, MMR, which protects against mumps and rubella as well as measles. Make sure that you are following recent announcements from your local public health department, trustworthy news outlets, and national media organizations. The news cycle has been keeping up with all major measles announcements and can help you avoid measles-prone areas. Local health departments have also been keeping active with measles announcements to help residents avoid certain areas before getting an updated vaccine. If you are still unsure about what measles is, how to protect against, and your current risks then you need to talk with your primary care provider ASAP. A primary care provider can give you direct and comprehensive medical information that pertains to you and your family’s medical needs. Consulting with a medical expert can provide you with the peace of mind to make informed decisions on your own. Measles may be a scary topic based on national headlines, but with just a few proactive behaviors you can effectively protect against the disease!